Eclat Vitrine. Custom furniture. High end furniture. Hand made furniture. 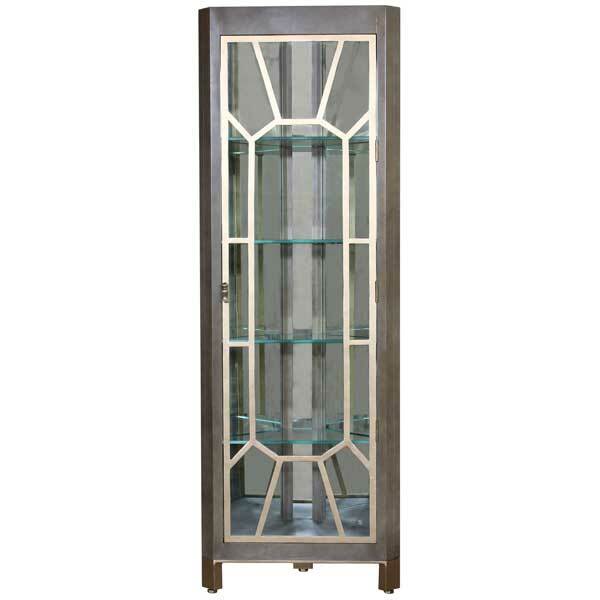 Inspired by cabinetry of the Art Deco period, the Eclat Corner Vitrine was designed as a unique display cabinet for tight spaces. Art Deco was an influential visual arts design style that first appeared in France just before World War I, and began flourishing internationally from the 1920s thru the 40s. It took its name from the Exposition Internationale des Arts Décoratifs et Industriels Modernes (International Exposition of Modern Decorative and Industrial Arts) held in Paris in 1925. It was an eclectic style that combines traditional craft motifs with Machine Age imagery and materials. The style is often characterized by rich colors and bold geometric shapes. The Art Deco movement flourished during the interwar years when rapid industrialization was transforming culture. One of its major attributes was an embrace of technology. It has been defined as an assertively modern style that emphasizes symmetry rather than asymmetry, and the rectilinear rather than the curvilinear. During its heyday, Art Deco represented luxury, glamour, exuberance, and faith in social and technological progress. Entirely handcrafted of wood and metal, this versatile cabinet is designed to fit in corners, utilizing space that would otherwise be wasted. It can be specified as a set of two with left and right opening doors. 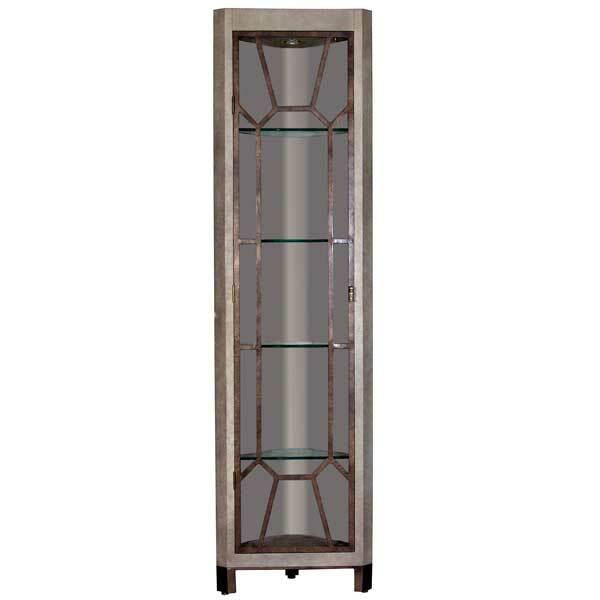 Designed by Shah Gilani, ASFD, the Eclat Corner Vitrine is offered in a variety of finishes and accents. Custom sizing is available and the number of shelves can be specified. With internal lighting, mirrored interior, and tempered glass doors, it makes an exceptional display cabinet for china in dining rooms.